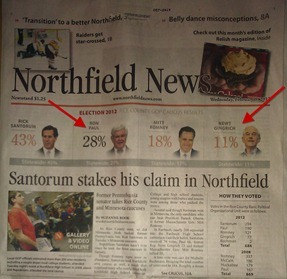 Did Northfield’s Republicans vote for the wrong guy in Tuesday’s caucuses? Or did Newt Gingrich’s campaign pull a fast one on Ron Paul’s campaign? Inquiring minds want to know. 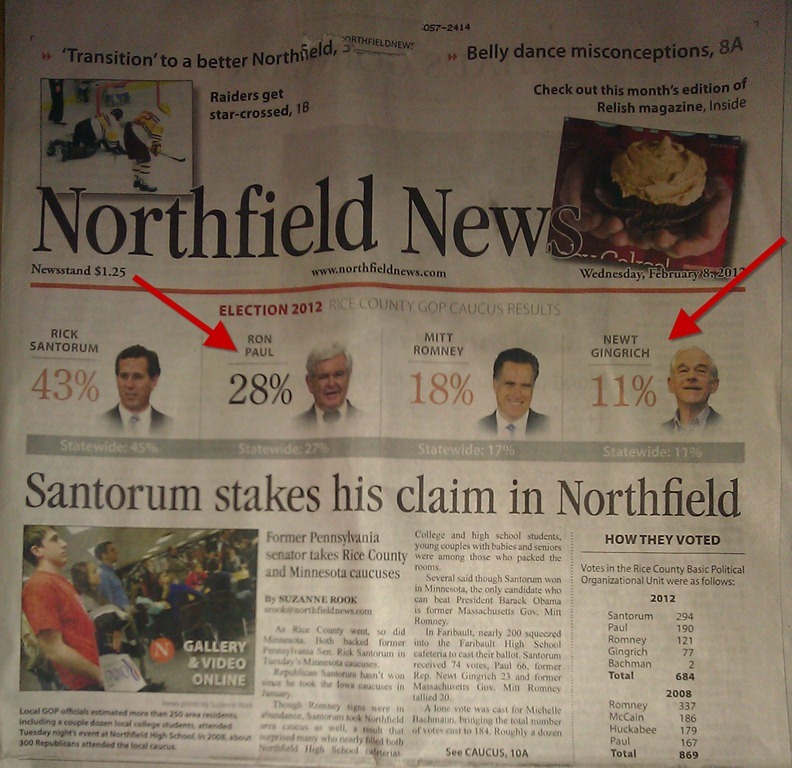 Click the screenshot of the Northfield News front page for a closer look. The support that Ron Paul received from Rice County Republicans was significant and indicates that, on the one hand, we must do for others what they cannot do for themselves and we can’t continue to spend money that we don’t have; and, on the other hand, we should not be in the business of empire buiding but must maintain domestic safety, the integrity of our borders, and a strong national defense.